Tapas at night, brunch during the day, amazing Spanish-Argentinian all day long. Chef Lino Oliveira explores brand new flavours with the addition of brunch at his tapas bar, Bodega Highlands, on the beautiful North edge of the river valley. The menu is full of wild Spanish-Argentinian fusion flavours and massive creations like Francesinha: a portuguese baked sandwich with five spiced meats and cheese, topped with fried egg and lots of sauce! Edmonton's most unique small galleries with over 14 exhibitions a year. SNAP Gallery is a visual art studio and exhibition space run by artists that are always working on innovative ideas. 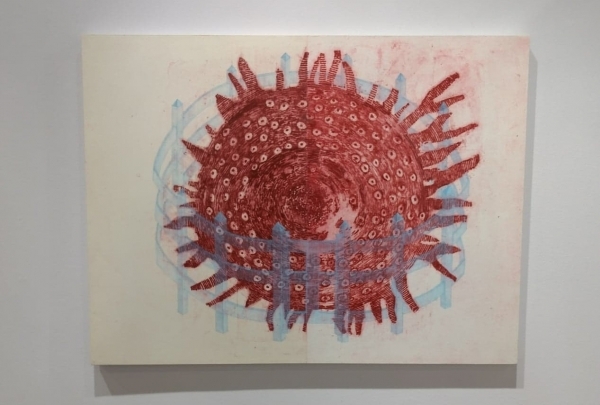 Their main medium is printmaking but the exhibits showcase a wide range of paintings, digital media, and drawings. Attached right to the gallery is a print shop where you can see pieces being made or even find an artist to commission for an original piece. Meet fashion experts located just 15 minutes from your room. Few boutiques combine local flare with international fashion as well as Who Cares Wear. 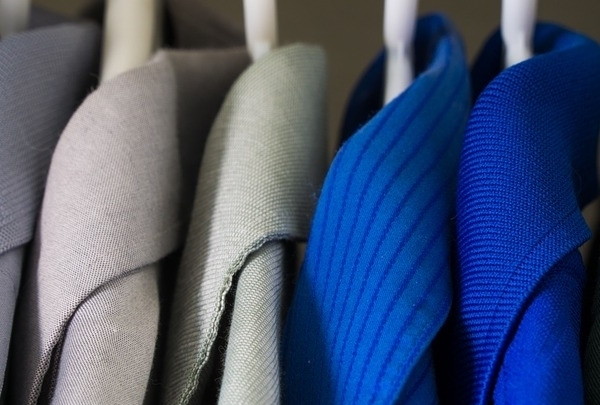 Everyone from sales associates to owners are passionate about fashion. 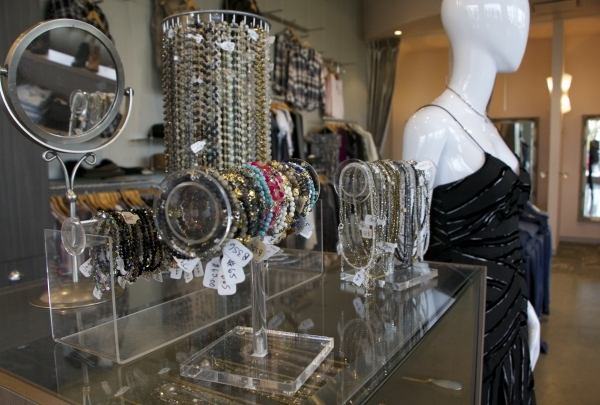 The boutique has a section of Canadian-designed clothing and all the jewelry is made by local artists. While they visit New York every year to find the hot trends, they always bring back practical Edmonton wear, which means lots of boots! 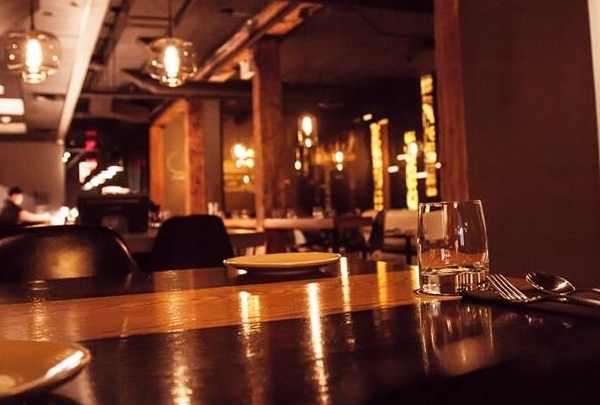 Visit this high end cocktail bar with fiery South Asian flare right in the heart of the Ice District. 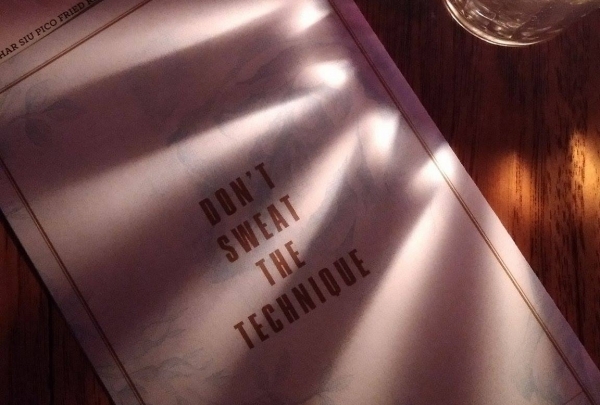 Baijiu offers a unique experience for cocktail lovers in Edmonton. The contemporary bar offers small share plates and a fine tuned cocktail menu inspired by South East Asia. Expect high end cocktails and well crafted food in a relaxed atmosphere, and extra fun on weekends with a live DJ in the evenings. You have to try the Last Days in Vietnam cocktail! 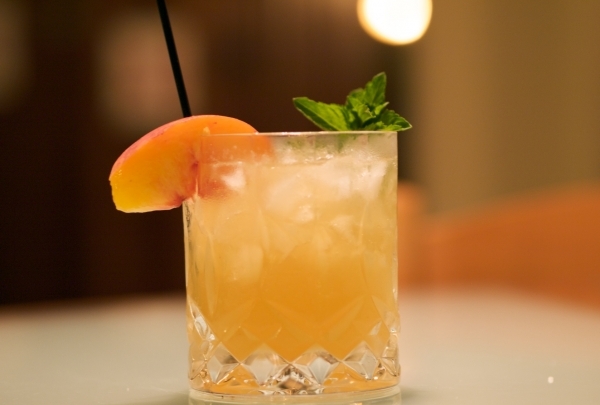 Take a close up look at how craft distilleries create flavorful spirits just down the road from Renaissance! More than just a distillery, Rig Hand's production site hosts free daily tours and tastings that let you get up close and personal with every step of the process. 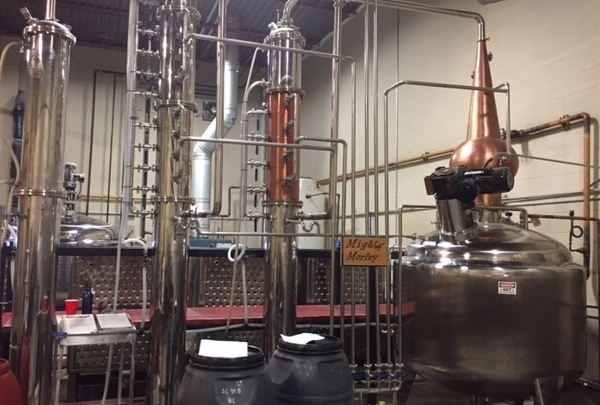 After learning about how they cream their garlic vodka or double double coffee creamer, sit down in their tasting room to try each one of their concoctions. Have them straight up or pick something off their cocktail menu. 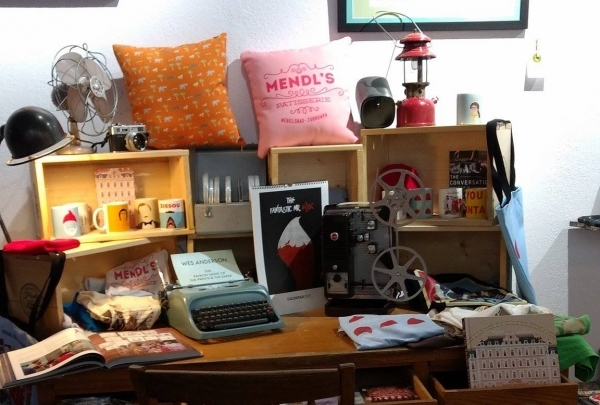 A little haven for literary, film, and stationary nerds on Edmonton's chic 124 Street. Home to Wes Anderson film memorabilia in Edmonton, The Prints and The Paper is a tiny gift shop that you can get lost in for an hour. From stationery and handmade greeting cards to mugs and pillowcases imposed with literary characters, the shop is filled with unique gift items. It’s the perfect stop after indulging in coffee and pastries on 124 Street! 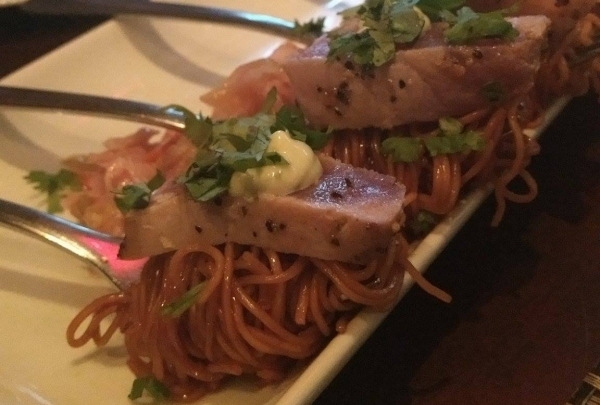 Trendy neighborhood brewpub with high end, award winning dishes. Nothing about Biera is average. It exists in the Blind Enthusiasm Brewery and their beer is easily the best craft beer in Edmonton. Favorites include the banana forward Zestyzee or ESM with its touch of pear flavor. Their menu ranges from creative bar snacks, to share plates. 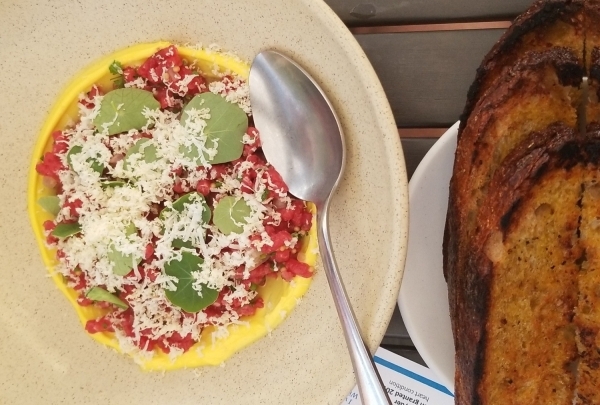 The Beef Tartare looks more like art than food and is served with mouth-watering house sourdough! German-style beer hall in a modern setting with Berlin inspired street food. Despite being named after a town in Costa Rica, Cartago is a German beer hall and restaurant. A hidden gem in Forrest Heights, the focus is definitely on beer. They have rotating taps and a large selection of easy drinking German lagers, plus tonnes of local selections in their beer cooler. Their kitchen is one of the smallest you'll ever see, but their food will have you dreaming of Berlin! Did you know that Edmonton's River Valley park system is the largest urban green space in North America? Hawrelak Park is the essence of Edmonton's lush River Valley and local values. It's home Edmonton's most diverse festival in August, Heritage Days, when over 300,000 guests visit to experience culture from over 80 countries. The amphitheater also hosts a month-long Shakespeare inspired festival in July. 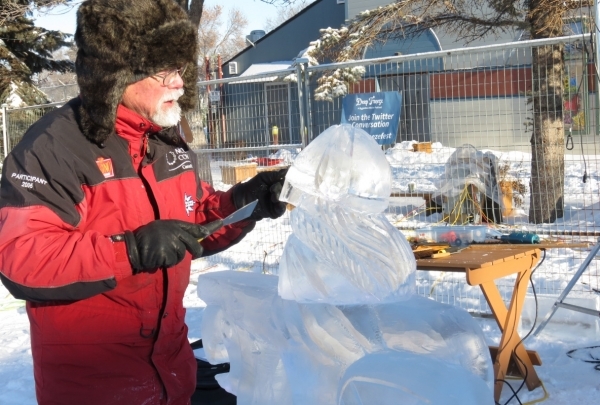 Come wintertime it's transformed into a winter wonderland with Canada's only Ice Castle! 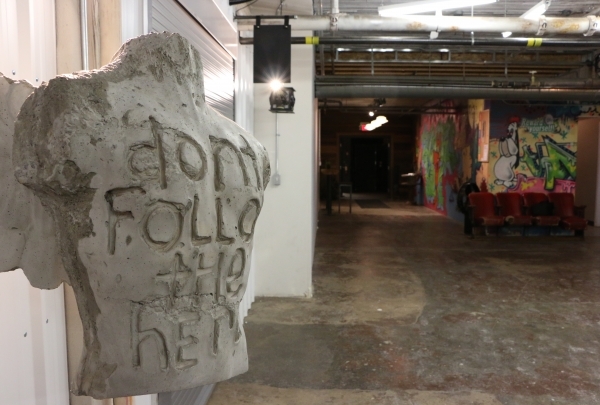 A creator's market for everything Edmonton-made located in the basement of the historic Mercer Building. Vacancy Hall is a creator’s market. Filled with eight rotating shops and constantly changing artwork from local artists, the basement of the old Mercer Warehouse is the ultimate stop to pick up anything made in Edmonton from boutique tea to handmade leather goods to a cup of Edmonton’s famous Transcend coffee. The tiniest of cocktail bars tucked in the heart of the city with some of the area's best mixologists! 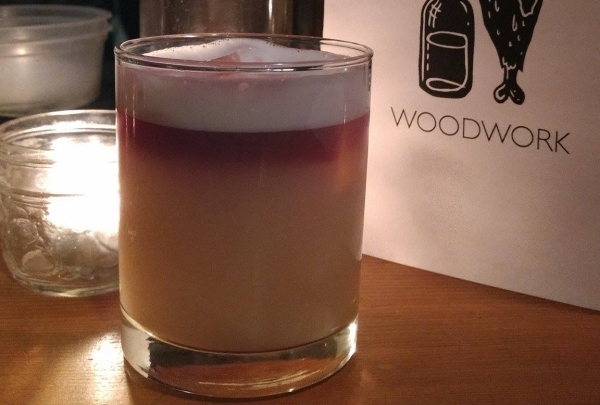 Woodwork is everything you would expect from a cocktail bar and more. Their award-winning bartenders never shy away from a challenge. It's the kind of place you can walk in, tell the bartender what you like, and they'll create something just for you to satisfy your thirst. 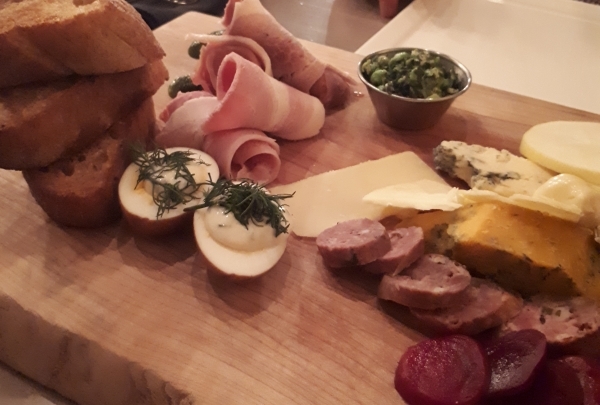 Plus their dinner menu is filled with local charcuterie and tapas to pair with every drink! English inspired contemporary share plates. Inspired by British and Irish culture, London Local oozes a chic Chelsea vibe. The menu is packed with creative dishes you won’t find at any pub in the city, like scotch egg with house made “HP” sauce or chicken liver parfait. The mussels & clams are basted in a dreamy butter cream sauce and are some of the best shellfish you can find in the city. Plus there is a great wine & beer list to pair! If you're not in a hurry to catch your flight, head to this hotel bistro and bar for delicious cocktails and drinks. Settle into the modern comfort of Halo Bar Bistro. Located inside the Renaissance Edmonton Airport Hotel, it's tempting to stop in and enjoy a relaxing meal before flying. Sip on well-crafted cocktails while lounging in one of their comfy sofas, illuminated by colorful LED lights. Bar snacks like spiced calamari, and sweet and sour kimchi wings make for a great pre-flight snack. Explore century-old aircraft, visit the cockpit of a jet fighter, and see fascinating exhibits that trace the trajectory of flight history. 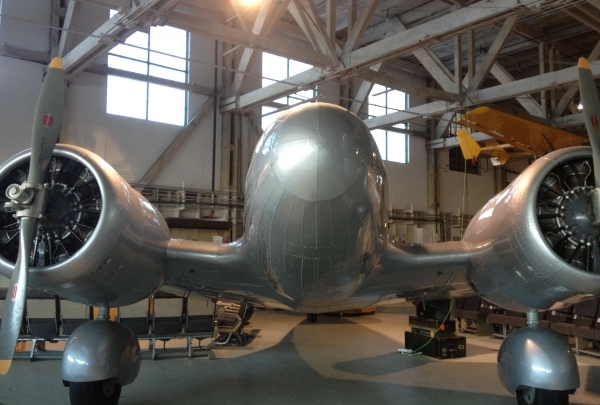 The Alberta Aviation Museum is home to one of the largest aviation collections in Canada. Occupying the site of the former Edmonton City Centre Airport in the last remaining hangar from World War II, this museum chronicles North Alberta's rich history of flight. It features an array of interesting tours and hands-on exhibits for the whole family. Discover over 40 aircraft models from the last century, explore personal and historical artifacts of renowned Canadian aviators, and take control of the interactive flight simulator. Experience a tour and tasting of premium artisan lager with a bratwurst buffet at this unique brewery. 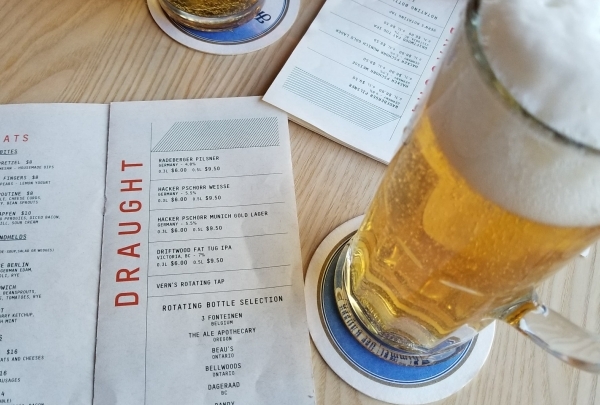 Taking it’s name from Edmonton’s first ever commercially brewed beer in 1894, Yellowhead Brewing Company creates quality craft beer in front of your eyes. 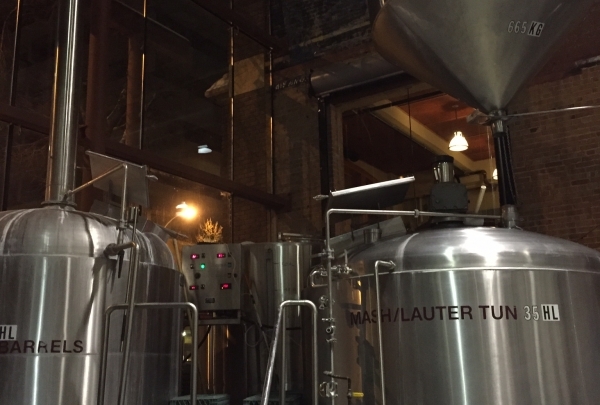 Their weekly tours show you the exact gritty process of brewing beer, skipping the museum feel and making you feel like the brewmaster instead. Weekly tours run every Friday at 5:15 pm, or can be booked through your Renaissance Navigator. Befriend RoboThespian the robot, get your hands dirty at the Gallery of Gross and see live experiments at this science wonderland. 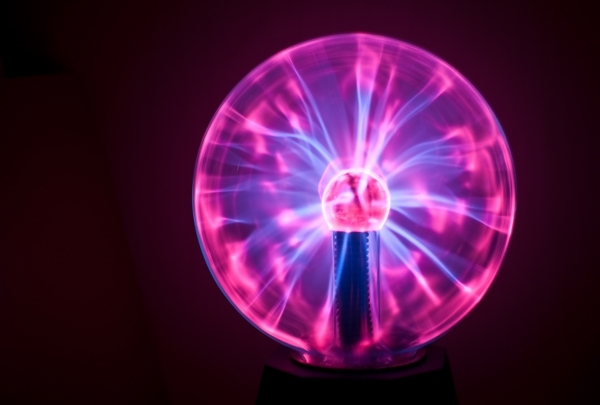 Take a science adventure at the TELUS World of Science. This fascinating science and technology center features a plethora of interactive exhibits and demonstrations for the whole family. Children can command an airplane at Sky High, explore the functions of the brain with a 3D model at Body Fantastic, and take an astronomy lesson through the lens of the observatory telescope. In addition, they organize several sleepover programs, camps and birthday parties for kids. In downtown Edmonton for an afternoon? Visit Rostizado for some Nuevo Latino cooking enjoyed family-style! This is not your average taco joint. Rostizado is a Mexican rotisserie that brings food out by the platter and pours tequila like it’s a delicate craft. A must try for any adventurous foodie, every platter comes with an array of meat, spiced roasted potatoes, and salsas. Don’t worry, if you’re not as adventurous, your server will go through and explain your entire meal piece by piece! Innovative artwork from both Canadian and international artists makes AGA a must-stop for regional art aficionados. 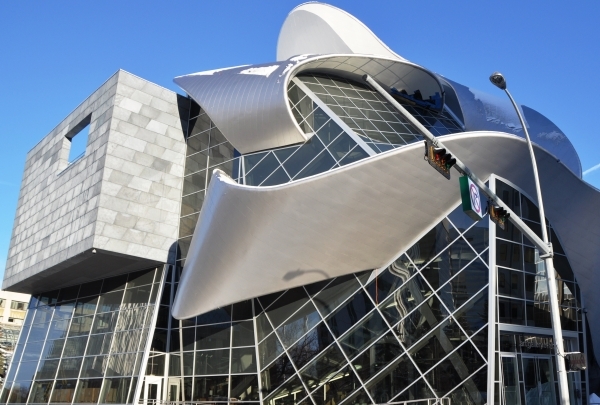 Over 5000 pieces of fine art can be found at the Art Gallery of Alberta. Works from a variety of Canadian and international artists in a variety of media are on display at this gallery. The building itself is a work of art and a wonder to look at and visit. Browse the racks at The Helm to find upscale, hand-selected menswear that's as unique and fashionable as you are. The Helm is Edmonton’s premier destination for upscale menswear. With everything from trousers and blazers down to cuff links and pocket squares, this boutique’s buyers have scoured the globe to find the finest products to stock their shelves. Each piece is hand-selected and the story behind it will add a unique flair to your wardrobe. Savor some of the best burgers in town out on this pub's busy patio. Arguably one of the most popular night spots in the city, this bar is always buzzing with activity. The decor is casual, and their laid-back vibe makes it the perfect place to unwind after a long day. Opt to be seated at one of their cozy booths if you're with a group, or at the well-stocked bar for a quick meal. Dine on an award-winning array of not-so-classic burgers and sandwiches. 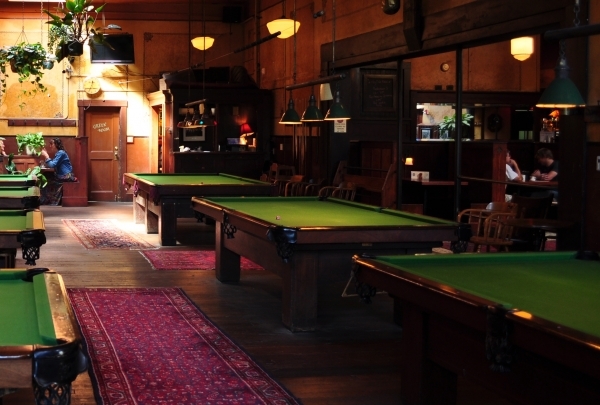 The Billiards Club is the place to be if you are looking to grab a pint and shoot some pool. This nightspot is found in the former Old Strathcona Post Office Building on Edmonton's renowned Whyte Avenue. Stop by on Wednesday for your fill of wings and draught while enjoying limitless games of pool. Fridays and Saturdays are perfect to dance the night away on the dance floor or on the rooftop patio. The home of the "Buck a Shuck," Von's is the place to be for succulent AAA Alberta Beef! 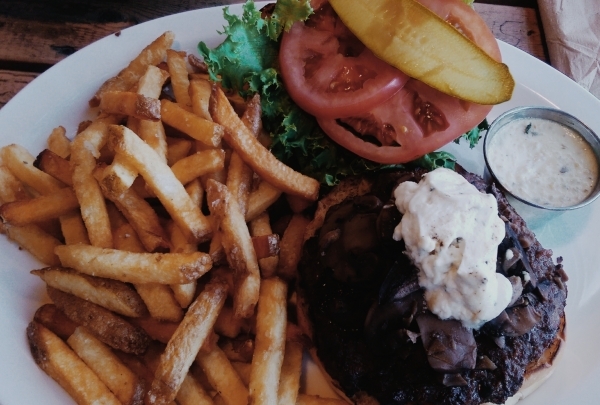 Specializing in both steaks and oysters, Von's has been an institution in Edmonton's Strathcona neighborhood for several decades. Whether you're looking for a quiet romantic dinner or a casual night at the oyster bar, Von's has what you need. Pair their AAA Alberta beef steak with a red wine from their reserves list. This marvelous 240-acre garden has cultivated gardens and plant collections, as well as a beautiful nature trail. Want to take in the gorgeous Alberta weather? Take it all in at the University of Alberta Botanical Gardens. Enjoy beautiful cultivated gardens and exotic plant collections, as well as showhouses and an extensive nature trail system. Want to conquer your fear of heights and test your strength? Visit this rock climbing gym. 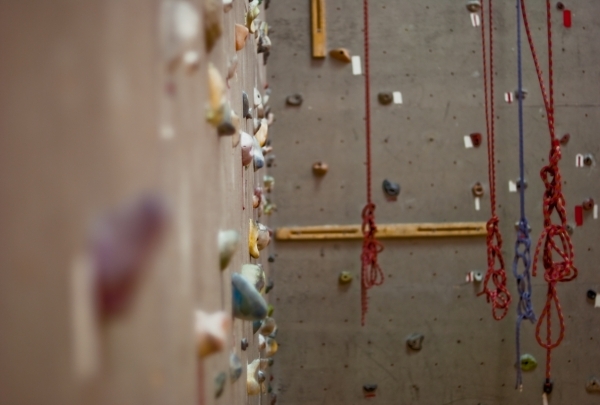 At Vertically Inclined Rock Gym you can climb as high as you can! The indoor facility challenges you to test your limits and offers training for the basic rope system for drop-ins with no experience necessary! A microbrewery featuring beer-based dishes and take-away! 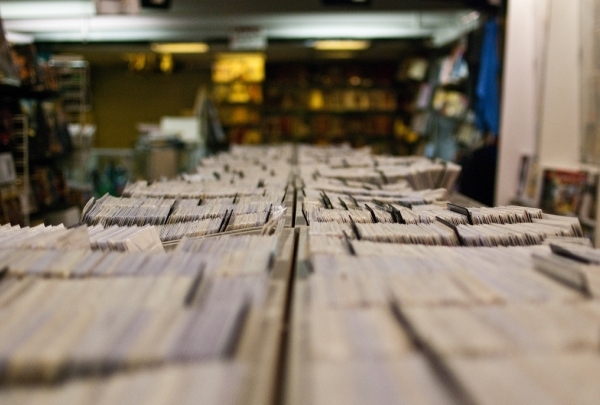 This local gem is located in Old Strathcona in a revived used bookstore. 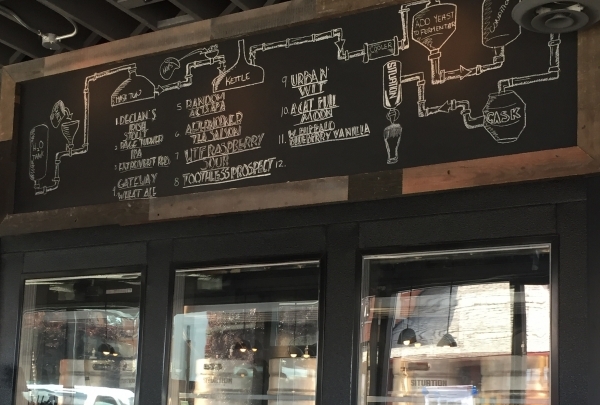 It features a small menu inspired by its own brews and a completely unique beer-based menu. They have seasonal varieties you can try by the glass or the flight. 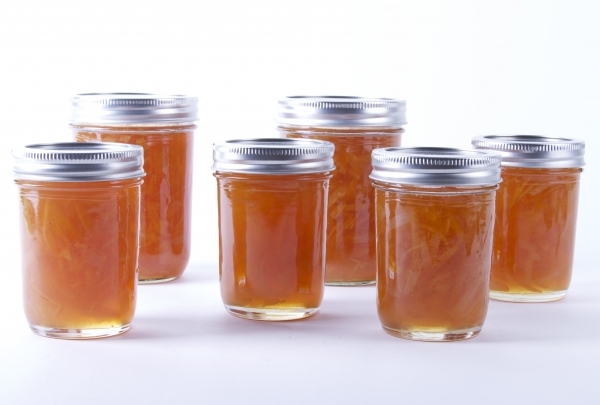 Take home a sample in brown, wax-sealed glass bottles. Their mussels and chicken are great for an afternoon on the patio. Mexican Kitchen & Tequila Bar that keeps the party (and tacos) going all night! El Cortez knows that eating Mexican food should be like hosting a party in your mouth. 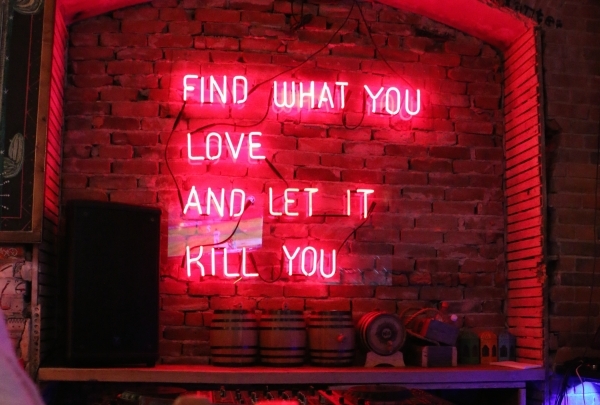 From killer tunes to Bukowski quotes in neon lights, the building itself oozes personality. Combine that with a solid Albertan spin on tacos, like the “Redneck”, and staff that are anything but cookie cutter, and you're sure to be entertained by more than just the food. Home to the largest Fringe festival in North America with stayover shows all year round! While the Fringe party gets wild for a couple weeks in August (Edmonton does host the largest fringe festival in North America, no big deal), the party actually continues year round on the fringe grounds. With five stages on the Fringe Theatre Adventure site, there’s always some kind of local production going on, from improv to local renditions of Broadway. A French-Canadian Bistro making waves for their high quality dishes and warm ambiance in downtown Beaumont. Chartier brings high end dining to a comfortable setting with a unique take on classic dishes, like Lobster Bisque Poutine, or 12-hour Smoked Flank Steak. 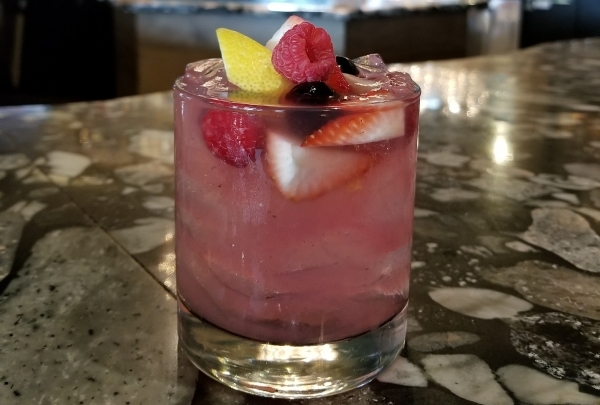 While they have a solid wine list to pair with your meal, their cocktail list is very fun and worth exploring. Try their “Schrute Farms”, a beet flavoured gin creation inspired by the TV show, The Office. 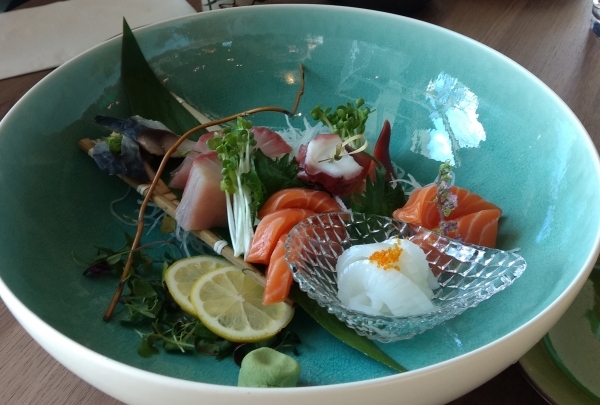 Fresh, sustainable, and authentic Japanese sushi in a modern setting. Despite being over a thousand kilometers away from any coast, Takami delivers fresh and authentic Japanese sushi to south side Edmonton. The brand new restaurant features a short but high end menu with raw delicacies often harder to find in the city, like sustainable blue-fin tuna. The bright and modern decor make it a great place for a business lunch! 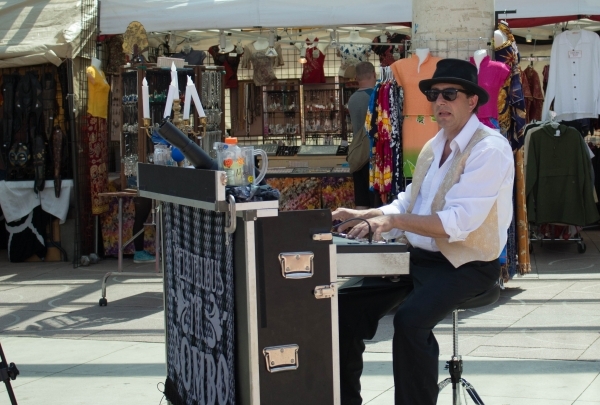 The best place to be on an Edmonton summer day, guaranteed to have a food truck and buskers! The heart of the city, Sir Winston Churchill Square is where you need to be in the summer to experience Edmonton. Home to multiple festivals and events, there's always something new to discover. 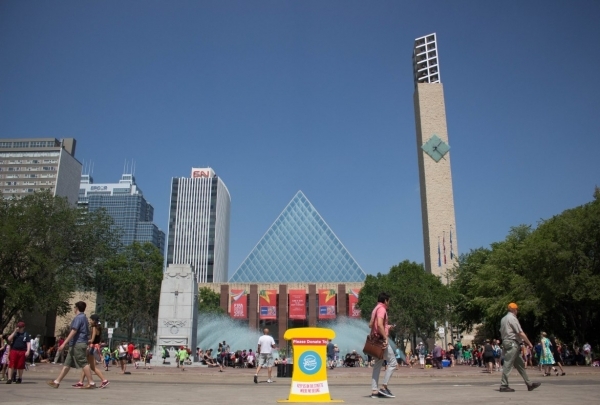 Between the Works Art Festival, Edmonton International Street Performers Festival, and Taste of Edmonton you'll be taken care of through the long Edmonton summer days. 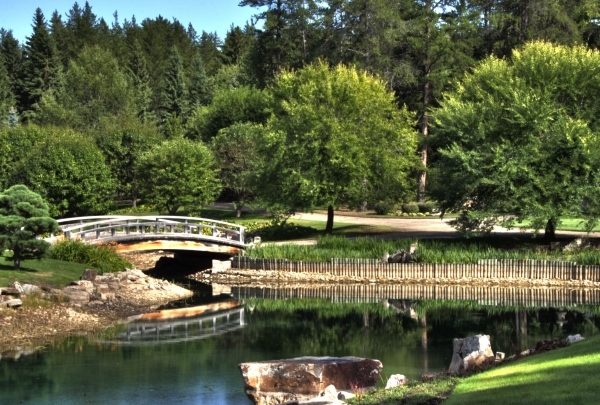 One of the city's most beautiful public golf courses, right in our backyard! 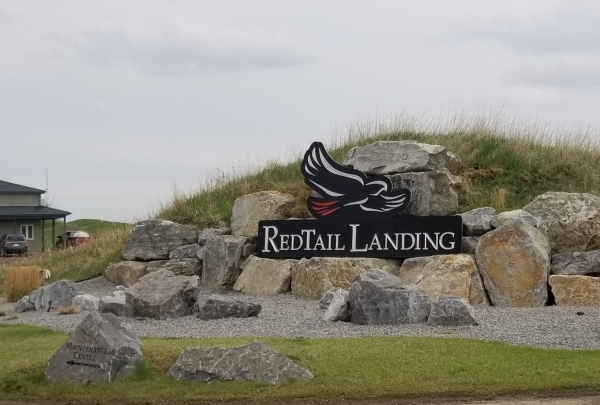 A top of the line facility, all RedTail golfers are set with gps equipped golf carts, access to the practice bunkers, and are welcome into their club house. The club house is home to their casual fare restaurant, Hawk’s Nest, which also has the only patio at EIA open to public. plus they offer high quality club rentals for guests who aren’t traveling with their equipment! The best date spot in Old Strathcona, hands down. Be wowed the minute you walk into Ampersand with it’s picture perfect decor and fairy light ceiling. While the restaurant oozes elegance, the lounge is a bit more playful and fun with a rounded bar made for interaction with the bartender, and a delicious bar menu made to snack on with your perfectly made cocktail. There’s a dish for everyone, plus pizzas made in a wood burning oven! 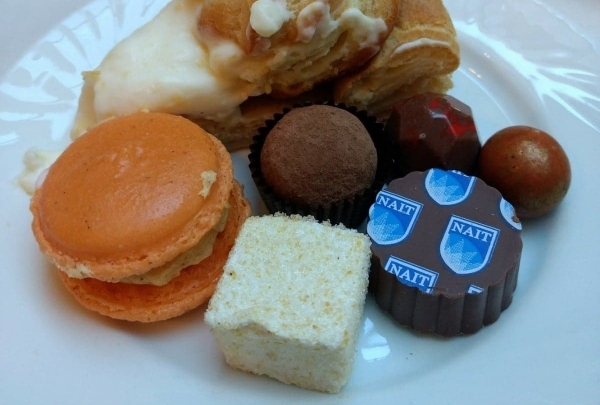 Join the party with Edmonton farmer's market's favourite pastry shop! 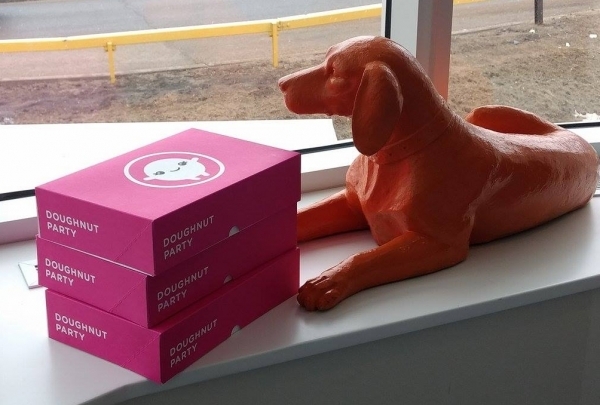 The trick to Doughnut Party is to get there early before they sell out. They usually have about five flavours baked fresh daily (if you're lucky they'll have their legendary s'mores flavour), and also serve coffee and tea. It’s located in the suddenly trendy Holland Plaza along side Cafe Linnea and Flabloomosity, so take a day to discover the area! Enjoy creative upscale farm-to-table dishes in a homey atmosphere. 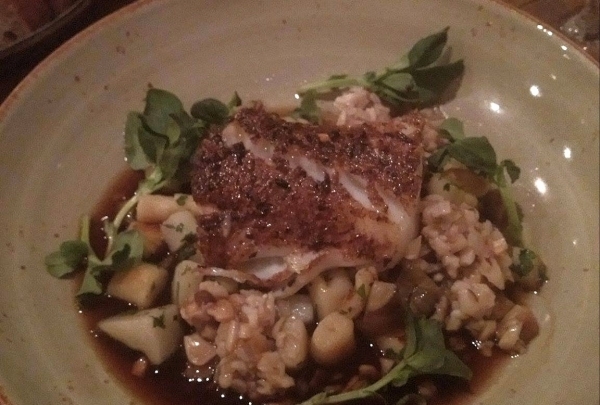 A true farm-to-table experience, RGE RD was created with local farmers in mind. The high end restaurant only uses what is in season from local farms, with fresh shipments daily. 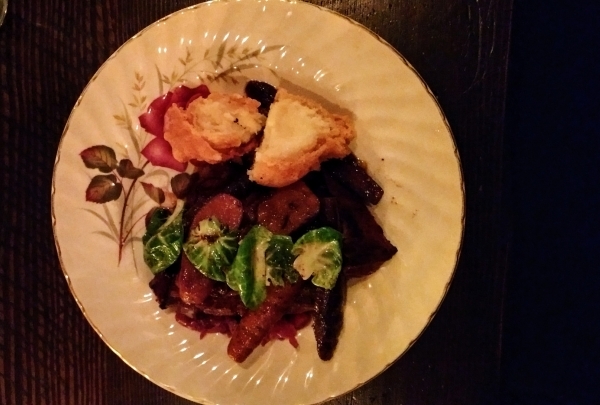 Only two dishes are permanent on the menu, the Gouda pierogis in caramelized onion sauce, and the tender bison on German spätzle. 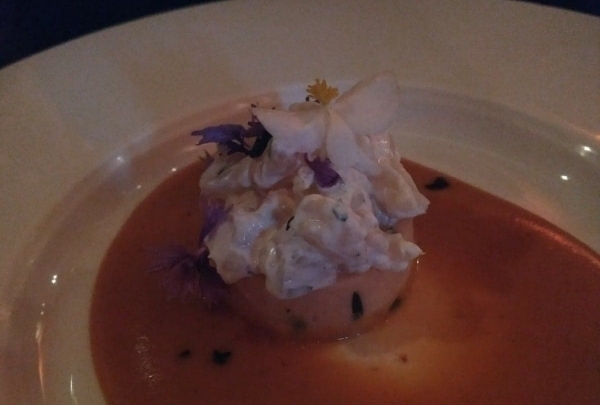 Their menu is unlike anything else you've seen, rotating by season, but always satisfying! "Do one thing well," they said. So Battista Vecchio chose calzones. 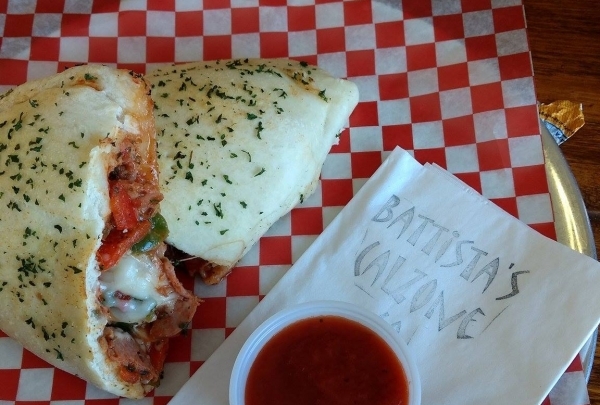 Built in the heart of Edmonton's Alberta Avenue neighbourhood, Battista's Calzone Co. is a family owned shop that does one thing, and one thing only: calzones. The fast casual dining experience lets you watch your calzone being filled and baked right in front of your eyes. Made from scratch, the fluffy dough is filled to the brim with cheeses, prosciutto, veggies, spices, and so much more! Only 15 minutes from Renaissance, XIX offers an award winning menu in an intimate setting. Award winning chef Andrew Fung offers an upscale lounge and bistro menu with creative twists on classic dishes. The dim lit room is gorgeous and makes you forget that you’re in the suburbs. Everything from the simple Bruschetta to the Lobster Ravioli is plated to impress and tastes just as good as it looks. Plus they offer the best Chili Whisky Sour you can find in the city! 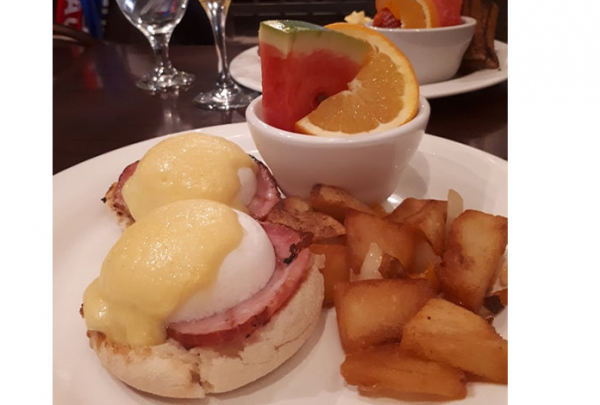 Discover an Edmonton institution for fine European dining and brunch right on the historic Jasper Avenue. 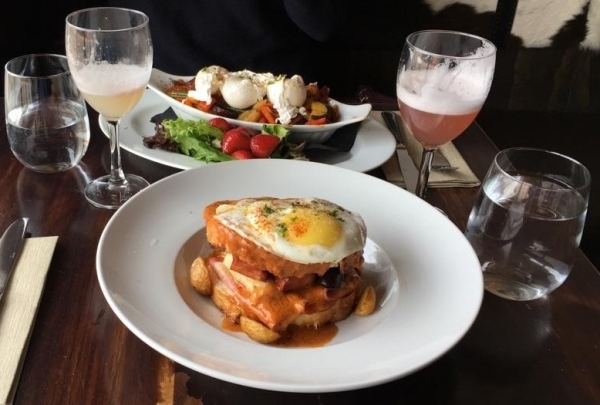 While they are known for their European dining with game meat entrees featuring pheasant and boar, Normand's brunch is truly a hidden gem! The Eggs Benedict is poached to perfection and has just the right amount of house-made Hollandaise. Plus, unlike most places, they offer brunch 7 days a week until 3p (breakfast lovers rejoice)! 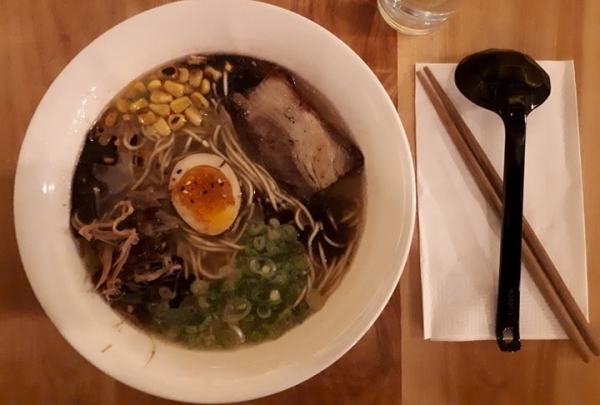 Find Edmonton's best ramen shop tucked away in a basement on trendy 124 Street. The Prairie Noodle Shop has a short menu that specializes not in traditional Japanese ramen, but a fusion with Albertan flavors. The Japanese flavors of miso and sesame are paired with Albertan roasted pork belly. Each bowl is garnished with a delicious Japanese pickled egg, and the flavors in the house-made broth are rich, but never overly spicy. 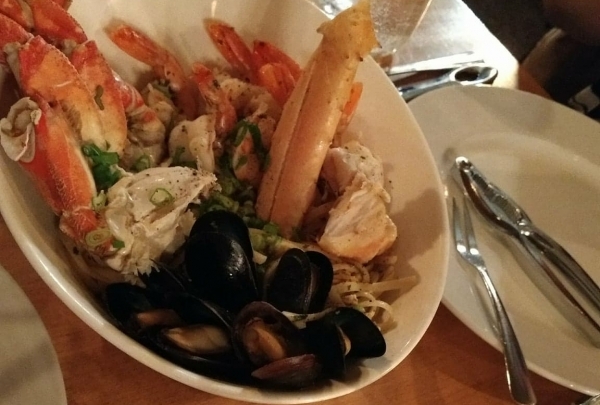 Intimate downtown maritime-themed joint with freshly flown in seafood weekly! The prairies are not known for seafood, but The Black Pearl brings in the best from the west. 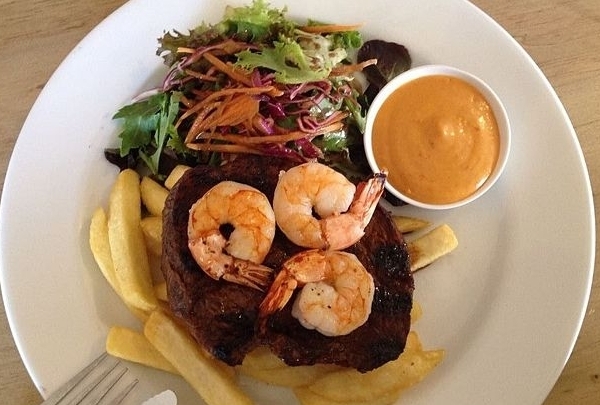 Their menu is great for sharing and servers give perfect suggestions. One of the most sought-after dishes here is pasta base topped with crab, prawns, mussels, and clams. If you’re looking to complete the shellfish checklist, the honey nut lobster, prawns & scallops is a must try. Traditional French pastry shop that'll transport you to a village on France! Chef Franck Bouilhol is originally from France and trained among celebrity chefs before moving to Edmonton. The small storefront is just a few blocks away from Whyte Avenue and is packed with croissants, pain au chocolate, danishes, and scones. 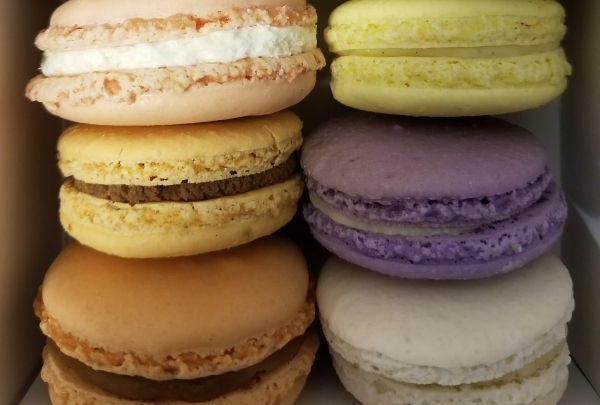 Of course, there is always an array of macrons with new seasonal flavours every week. 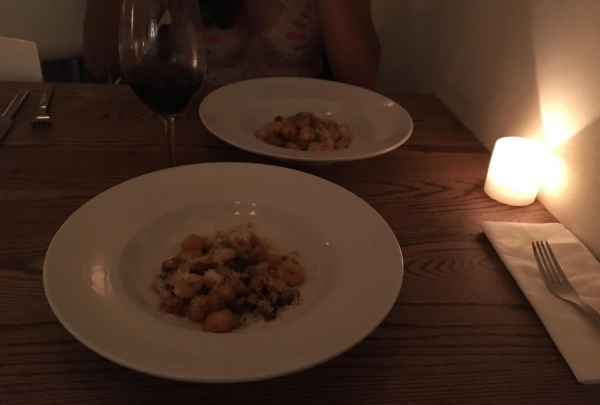 Corso 32 has delectable, house-made creations that will transport you to Italy. There’s a reason Chef Daniel Costa runs three of the most successful restaurants in Edmonton. His first project Corso 32 has garnered praises to rival dishes from Italy itself. The pasta dishes are served to share, especially if you have antipasto to start. A must try is the Short Rib. The meat is cooked to melt in your mouth, and the arugula and pear on top add a wild mix of flavours & texture! It's not just dinner, it's a tapas experience. Behind an almost hidden red door, there are seven tables, a small bar, and a completely open kitchen. The best way to experience Tzin is to skip the menu and go for the “Feed Me” option where they bring you tapas to share until you’ve had enough. You’ll get a wide range of flavors from Icelandic Cod like sautéed onion slaw and edible wildflowers, to wild boar meatballs with Jack Daniels glaze. The best way to experiences Canada's top bakers and Chefs of tomorrow. Edmonton hosts one of Canada's top culinary schools in Canada which comes with their own award-winning dining room, Ernest's. It's tucked right into the college and offers a wide range of seating options, quick lunches, extensive dinners, and most famously their showcase buffet. Every meal pushes the limits of creativity using ingredients and flavors in ways you never imagined.